Your low-profile in-ceiling speaker system doesn't have to lack for low notes. By buying this product you'll earn up to 542 Rewards points. 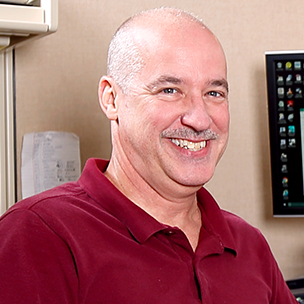 Your low-profile in-ceiling speaker system doesn't have to lack for low notes. SoundTube's CM1001D-T in-ceiling subwoofer is designed to hide away above your commercial space and produce deep, satisfying, musical bass. 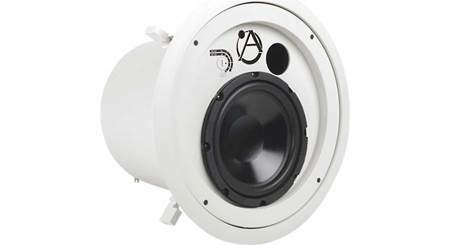 It features a 10" polypropylene cone woofer with butyl rubber surround inside an enclosure with a flared, tuned port for extended bass response. 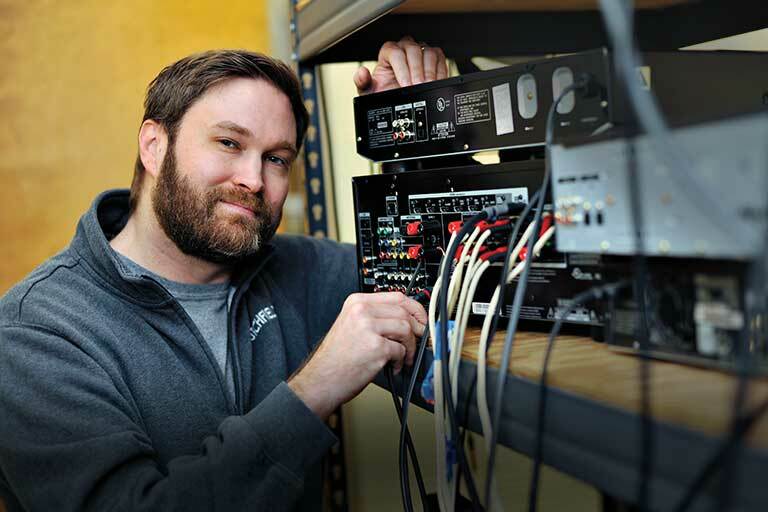 A built-in transformer tap lets you use one amplifier to drive several speakers in an efficient distributed audio system. A fixed-wing mounting system helps make installation easier in ceilings from 1/4" to 1-15/16" thick. 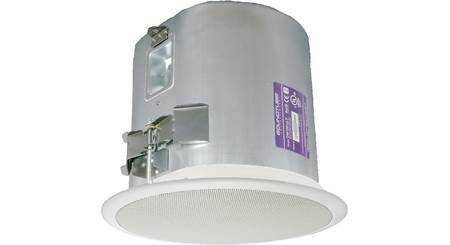 recommended minimum ceiling thickness: 1/4"
Overview: The Soundtube CM1001d-T is a pendant-mount 25, 70, and 100 volt commercial subwoofer designed for maximum efficiency and frequency response for both foreground and background music applications. 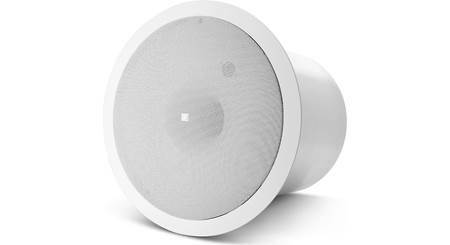 The speaker is well suited for installations where high quality and true bass response are critical. Applications for the CM1001d-T include aerobics rooms, nightclubs, theme parks, ballrooms, churches and other open-ceiling applications. 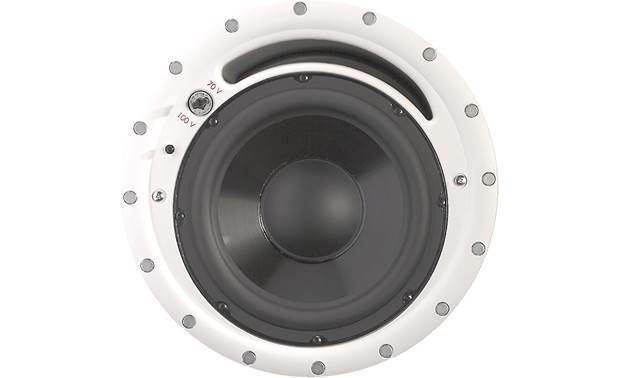 Driver: The CM1001d-T features a 10" polypropylene woofer with a butyl rubber surround, delivering a consistent dispersion pattern for maximum intelligibility and edge to edge coverage. The subwoofer's frequency response is accentuated by a 70Hz peak to maximize the listener's low-frequency experience. Enclosure: The CM1001d-T offers long lasting performance and efficiency with its tuned and ported enclosure consisting of a drawn-steel backcan, reinforced ABS baffle, along with a powder-coated steel grill. The grill is held in place with magnets around the perimeter, allowing it to quickly and easily be installed and removed. All the speaker components carry both UL1480 UEAY and UL2043 ratings as well as being CE and RoHS approved. Mounting: Installation of the speaker is done blind-mount using a constant-tension fixed-wing mounting system. Two winged assemblies come pre-mounted to each side the speaker. 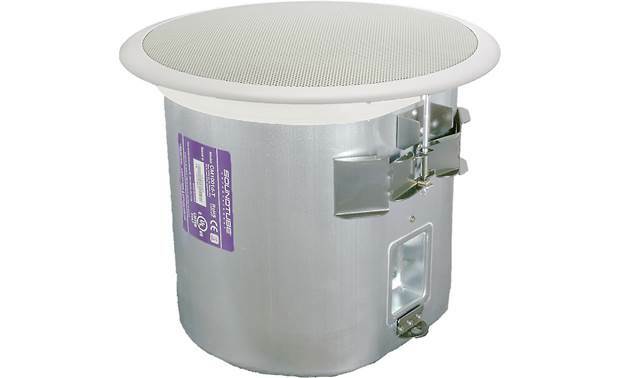 Once the speaker is slid into the ceiling opening 2 Phillips-head screws on the front of the speaker are tightened. This expands out the mounting arms providing tension on the backside of the mounting surface. 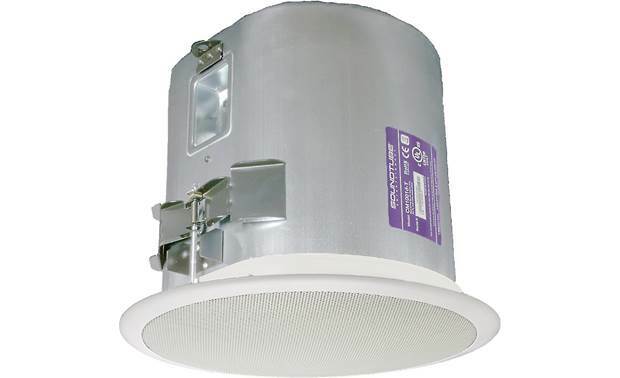 The CM1001d-T can be mounted to ceilings ranging in thickness from 0.25 to 1.91 inches, including drop-ceilings using the optional Tile Bridge. A secondary attachment point is provided on the back of the speaker for the included safety cable. 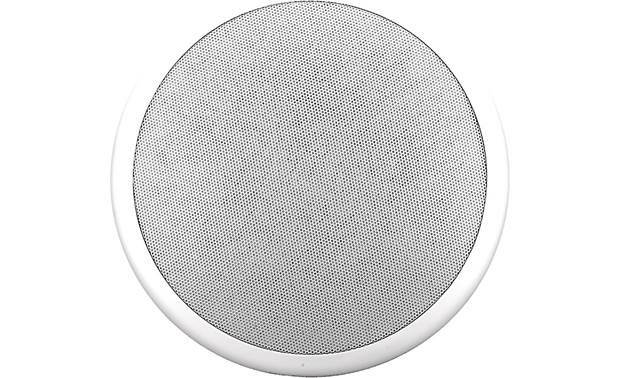 Speaker Dimensions (w/grill): Diameter - 14.750", Height - 14.125"
Speaker Dimensions (w/o grill): Diameter - 13.875", Height - 13.125"
Searches related to the SoundTube CM1001D-T 10" commercial in-ceiling subwoofer.